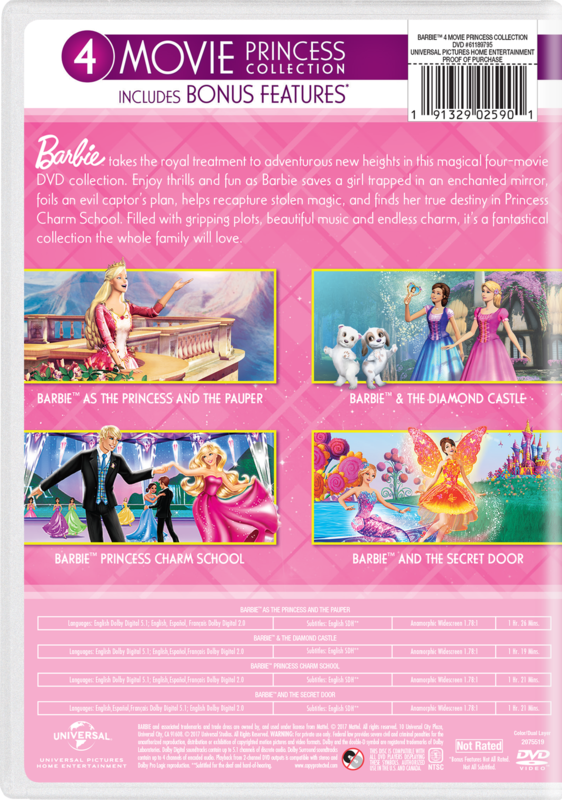 In this magical, musical adventure, Barbie™ stars as Alexa™, a shy princess who would rather read than perform her royal duties. While walking through the royal garden, Alexa™ discovers a secret door in her kingdom, much like the one in the book she's reading! 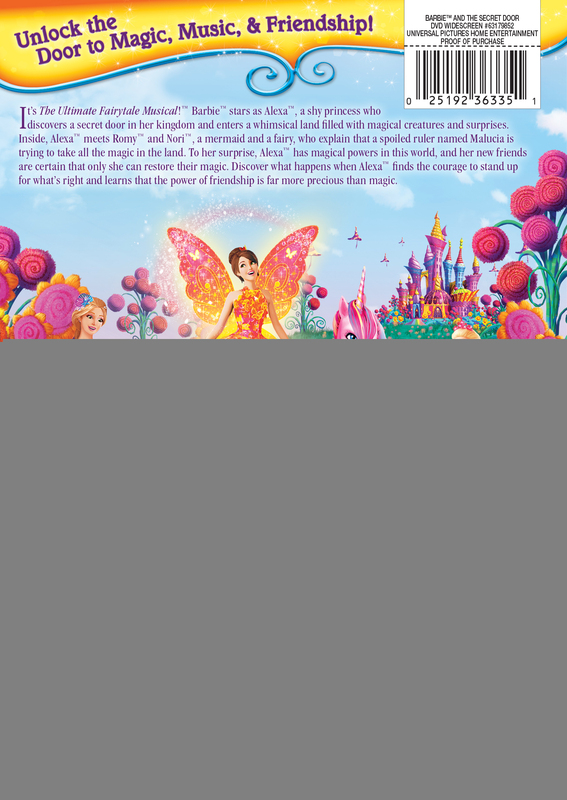 She steps through the door and enters a whimsical land filled with magical creatures and surprises. Alexa™ meets Romy™ and Nori™, a mermaid and a fairy, who explain that a spoiled ruler named Malucia is trying to take all the magic in the land. To her surprise, Alexa™ has magical powers in this world, and her new friends are certain that only she can restore magic to their land. Discover what happens when Alexa™ finds the courage to stand up for what's right and learns that the power of friendship is far more precious than magic.